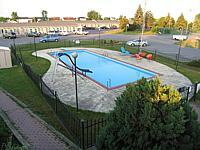 The Seven Oakes Motel is a 44 unit motel in 7 acres of land and is considered one of the premier motels in the Kingston, Ontario region. It is an award-winning facility, family-owned and operated. It is most affordable with quality, comfort, convenience, and service as top priorities for guests. 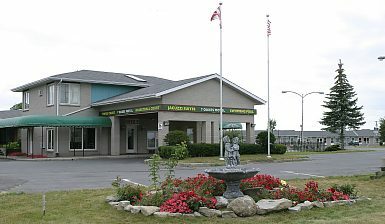 The Motel is minutes away from Queen's University, The Royal Military College, Fort Henry, Kingston General Hospital(KGH), St.Lawrence College, Thousand Island Boat Cruises, shopping centre, and next to a supermarket. 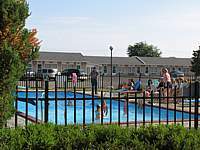 Our large swimming pool has a diving board and slide for the kids to enjoy. Some guests just don't want to leave it! A very special vacation awaits you at Seven Oakes Motel!